Last night we had another gut wrenching evening with Nat. It came from nowhere, they always do, these intense waves of emotion that rise from nothing and in a moment consume her so completely. As a mama, I feel like my heart literally cracks each time I see her like that – my baby in physical and emotional turmoil struggling with such intense emotions that she can neither understand nor control. She physically rages, screaming at us then abandoning all human contact, racing to her room where her pillows alternately muffle her anguished crying and take her pummeling fists. As the rage subsides to sobbing she curls into a fetal position refusing to look at me, refusing to let me near. Until I pull her into my lap and hold against her thrashing limbs, knowing eventually she will give in and let me cradle her. That’s all I can offer in these moments that neither of us fully understand. Nat is seven-and-a-half years old (we all know the ‘half’ is super important at that age). She has personality in spades, she’s intelligent, book-smart, has a vocab that blows my mind even if she spells terribly, and she can be amazingly caring and sweet and funny (cheeky!) when she chooses. Natty is also very strong-willed, independent, and sets incredibly high standards for herself. She’s a lot like her mama there. At the moment all she wants is to ride her own path, with no respect for rules or authority. Especially at home. I know there are reasons why she is grieving and angry, but I don’t know if they should have so much prevalence in her life. I hate that her healing has to hurt so much. I worry for her. Her emotions can turn on a dime. All I want is for my girl to be happy. To be happy with who she is and grow up confident in her God-given skills and abilities, able to handle the challenges that life will inevitably throw at her. I wish I could heal her hurting heart. I wish I knew how to rein in her behaviour (she NEEDS to learn respect, that is not negotiable) without breaking her amazing spirit. I do believe she is a born leader with amazing potential. She is only seven (and-a-half), she shouldn’t be in so much pain. I know there is an answer, a way to help her. 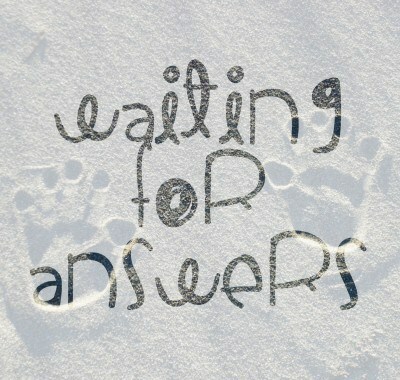 I just pray God chooses to reveal that answer to us sooner rather than later. Thank you. Seeing a child in pain is worse than being in pain myself!